Obtained from Israel’s Dead Sea, Dead Sea Salts are known worldwide for its healing effect. These salts provide a therapeutic soak that gently detoxes your body, relaxes sore muscles, and exfoliates skin all without… being drying. Dead Sea Salts are able to accomplish all of this through its mineral rich content. 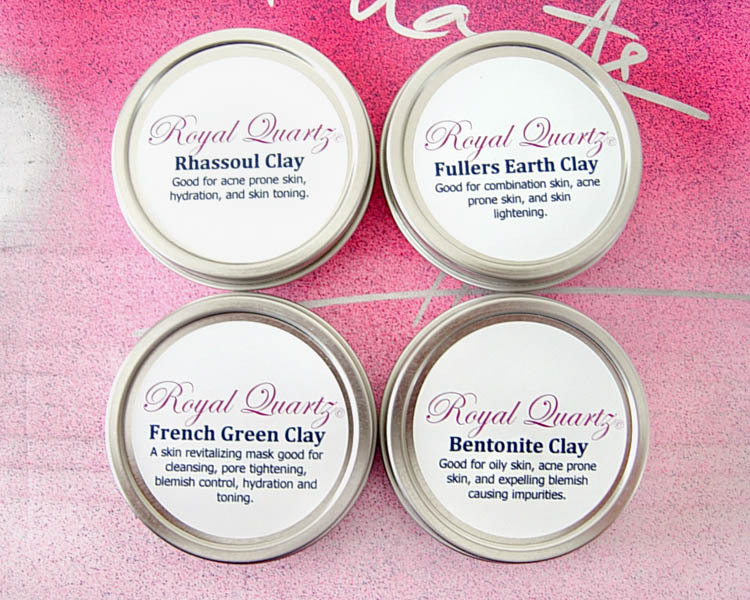 When absorbed, these minerals help to rejuvenate and soften you skin. The minerals high concentration of minerals contained in Dead Sea Salts make it beneficial in the treatment of arthritis, allergies, acne, psoriasis, eczema, and wrinkling. What minerals can be found in dead sea salt? Dead Sea Salts contain minerals that offer numerous benefits to your skin. Bitumen acts as an anti-inflammatory. Calcium cleanses pores, aides wound healing, and promotes circulation. Iodine promotes healthy skin, hair, and nails by improving their condition. Magnesium promotes quick healing of skin tissue, calms the nervous system, and relieves stress. This mineral is beneficial to those with psoriasis and is credited with the detoxifying, hydration, and anti-inflammatory effects of the salts. Potassium improves skin hydration and water retention. Sodium facilitates detox, skin hydration, and water retention. Zinc reduces and minimizes signs of aging, helps speed up the healing process of injuries, and helps to protect skin from sunburn. Sulfur accelerates the exfoliation of dead skin and has antiseptic properties. This mineral is quite beneficial to those suffering from acne as well as those suffering from rosacea and dandruff. 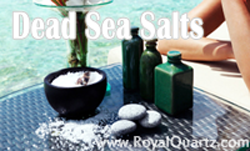 If you’re interested in purchasing Dead Sea Salt products, take a look at our Royal Quartz bath salts.